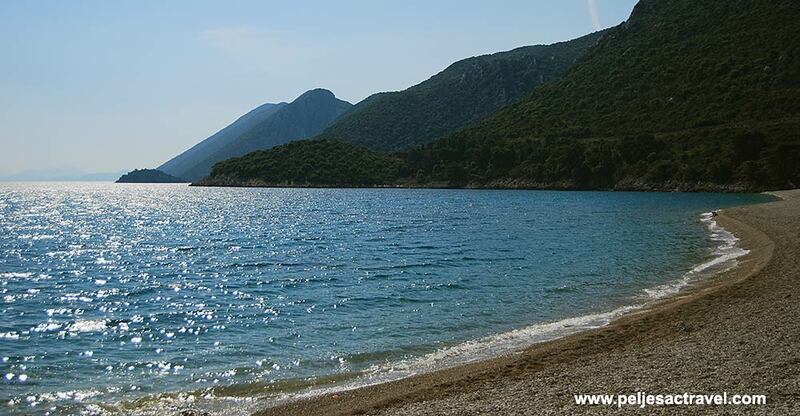 Lovely south facing bay located just about around 3.5 km away from Ston, Prapatno beach is nested in the very heart of this bay. It is a small pebbly beach, about 250 m long, encircled by large rocky areas from both sides. As the beach is south facing it is not protected from south winds, particularly Siloko, however, Maestral and Bura wind are hardly sensed here. 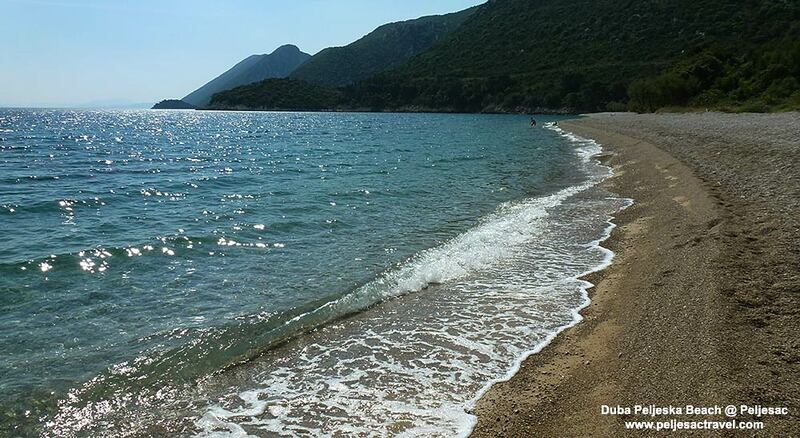 The sea here is deep blue and of turquoise colours while water near the shore is very shallow which is great for families with small children. 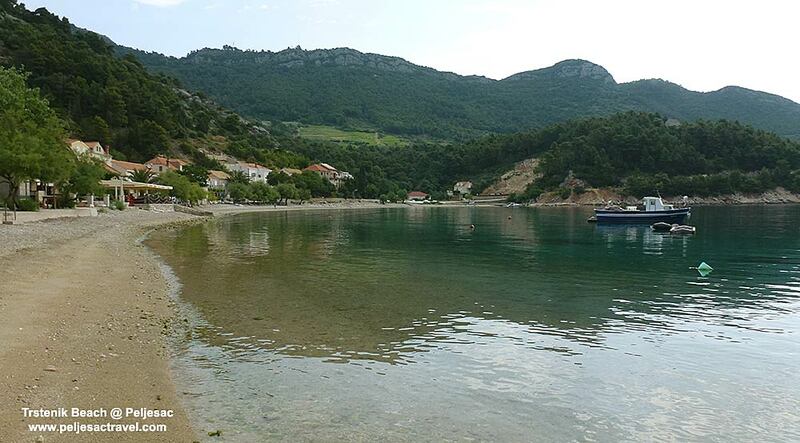 There are numerous mature olive and pine trees in the bay and near the beach, so nice shade is never far away although beach umbrellas are always recommended to have handy if you wish to spend all day on the very seashore. 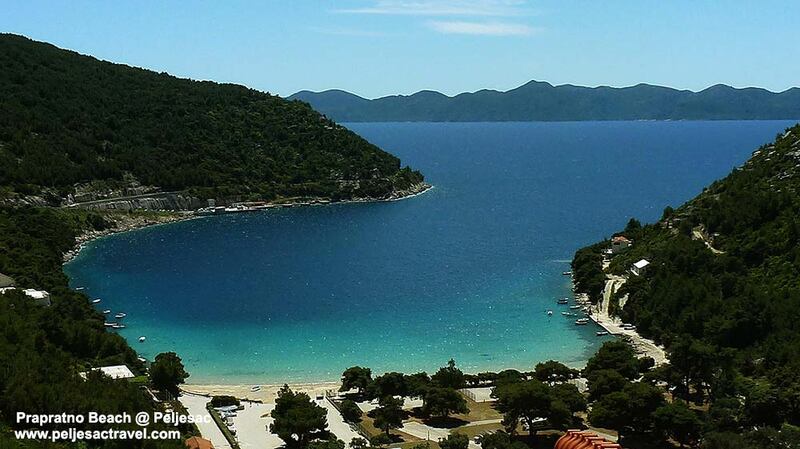 I took the above photo of Prapratno beach from the main Peljesac road that is passing above the bay, where on this great vista spot, a nice little restaurant/cafe is located. We could see people swimming down at the beach, my guess is they stay at Prapratno Campsite.